Do you want Uncle Sam to take more of your hard-earned money each paycheck to fund bigger Social Security benefits and tax cuts for well-off retirees? Your answer will probably be no. 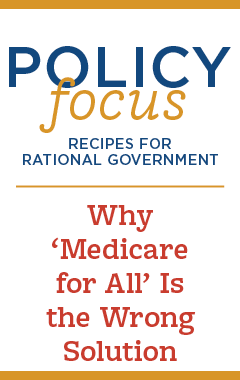 However, that is exactly what one liberal congressman is proposing with a Social Security bill. This scheme is a costly generational wealth transfer from young workers to retirees. It also exacerbates income inequality among older Americans. With nearly every worker enjoying more take-home pay thanks to the 2017 tax cuts, Washington should not turn around and take back those tax savings to redistribute them. The Social Security 2100 Act expands Social Security both by raising the 12.4 percent payroll tax to 14.8 percent and by phasing out the current $132,000 cap on taxable earnings. American workers currently pay 12.4 percent payroll taxes for Social Security (split evenly between them and their employer). This legislation would raise payroll taxes even more. Let’s look at how the poorest workers would fare in retirement under the Social Security 2100 Act. After all, these are the Americans least able to save on their own for retirement and most at risk of falling into poverty in old age. 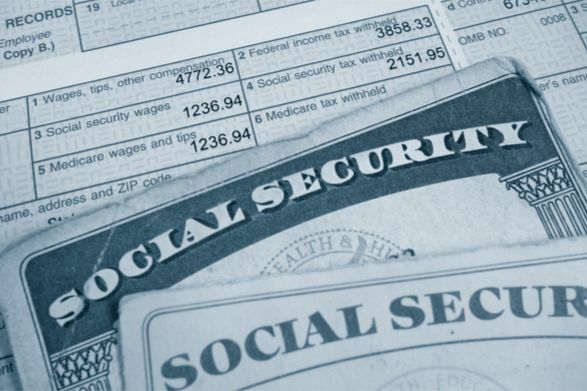 In theory, the Social Security 2100 Act would provide these low-income workers with Social Security benefit increases of up to 44 percent, a startling figure. But even many low-income workers who qualify for retirement benefits won’t see much of an increase under the Social Security 2100 Act. Here’s why. First, the Act’s advertised 44 percent benefit increase applies only to low-income workers who work for at least 30 years. Low-wage, long-career workers are unusual, making up only about a tenth of the retiree population. For low earners with shorter careers — the ones most likely to land in poverty in old age owing to a failure to build savings — the Act offers a benefit increase of just 4 percent. A small benefit increase when poor workers retiree pales in comparison to a major tax payroll tax increase over their working careers. This effort reduces or eliminates income taxes on Social Security benefits for about 12 million retirees whose household incomes range from about $50,000 to $100,000. Those are not just middle-income retirees, but well-off retirees who don’t need the tax cut. They will receive a higher benefit for a longer period of time due to an increased annual cost-of-living adjustment. Younger workers and poor workers will bear the brunt of this tax increase and it will start at a time when they need to keep more of their earnings to pay down student loan debt, start families and support young children, purchase homes, and fund other major expenses that more well-off retirees do not need to worry about. The left’s answer to saving Social Security is to soak the young and poor. That is a solution that no one should want.